Russia’s Moskva missile cruiser, dubbed a “carrier-killer” by NATO, has passed through the Straits of Gibraltar and is now heading toward the eastern Mediterranean to assume command of the Russian naval force there. 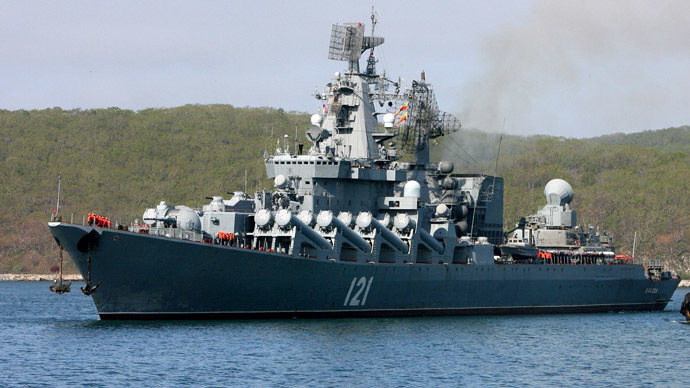 The Russian Navy said in a statement that the Moskva cruiser passed through the Straits of Gibraltar on September 10. 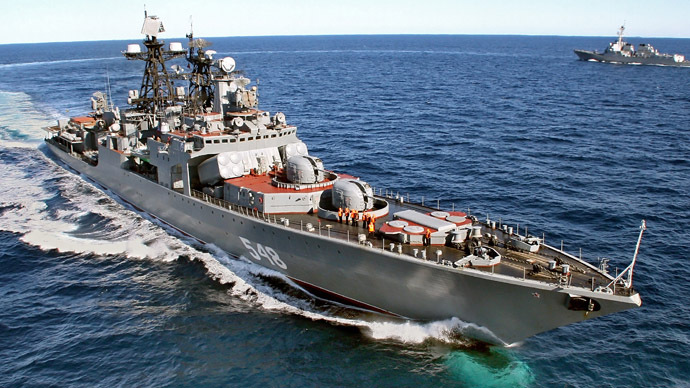 “The Black Sea flagship entered the Russian Navy's area of responsibility in the Mediterranean at 11:00 pm Moscow time yesterday," the agency reported a military source as saying. 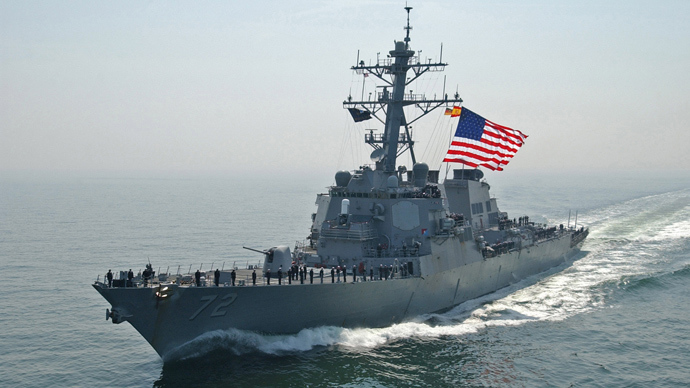 The missile-carrying cruiser is expected to join its final destination in eastern Mediterranean on September 15 or 16. Upon arrival, the command of the Russian Navy unit in the Mediterranean, currently stationed onboard the Admiral Panteleyev anti-submarine ship, will be relocated to the Moskva. "The armaments and technical equipment of the missile cruiser are in working condition. The crew is ready to perform combat missions,” the source said. The missile cruiser, initially known to Western naval intelligence as “Slava” (Glory), was launched in 1979 and entered service in 1983. It was later renamed the “Moskva” in 1995. Designed to be carrier-killers, the cruisers of Class 1164 are equipped with 16 anti-ship launchers P-1000 Vulkan, or Volcano (SS-N-12 Sandbox anti-ship missiles, according to NATO classification). 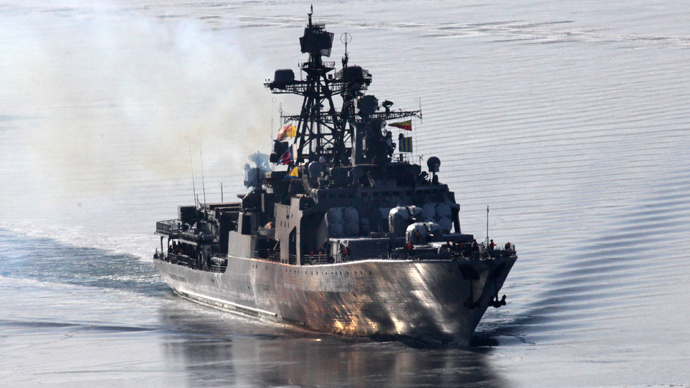 Another two vessels, the landing ship Nikolay Filchenkov and the guard ship Smetlivy, will join the Russian naval unit later. They will be pass through the Bosporus and Dardanelles straits by September 12-14 and will then head to the eastern Mediterranean. The recent deployments are aimed at “complex monitoring” of the situation around Syria, military sources told Interfax earlier. Russian naval maneuvers in the Mediterranean come amid growing tension in the region, which sparked speculation that Russia was boosting its naval presence ahead of a possible US strike against Syria.